Facebook is making great strides in beefing up election security and addressing data privacy concerns on the platform, according to Don Graham, former board member at the social network. "The people I know at Facebook are terrific. I admire them. I trust them. Whatever else is done in this country, the people at Facebook are will be working to fix their problems," Graham told CNBC Tuesday, referring to founder and Facebook chief Mark Zuckerberg and Chief Operating Officer Sheryl Sandberg. Graham, former publisher of The Washington Post, went out of his way to say that Facebook has certainly "made plenty of mistakes." But he argued that Zuckerberg and Sandberg have acknowledged the issues and promised to address them. The Cambridge Analytica scandal last year, in which as many as 87 million Facebook profiles were improperly harvested for data by the London-based political consultancy, thrust Facebook and the issue of data privacy into the public discourse. Those revelations broke about 16 months after Facebook said in a blog post, the day after the 2016 presidential election, that it had blocked dozens of accounts on Facebook and its Instagram platform that were allegedly linked to Russian trolls. 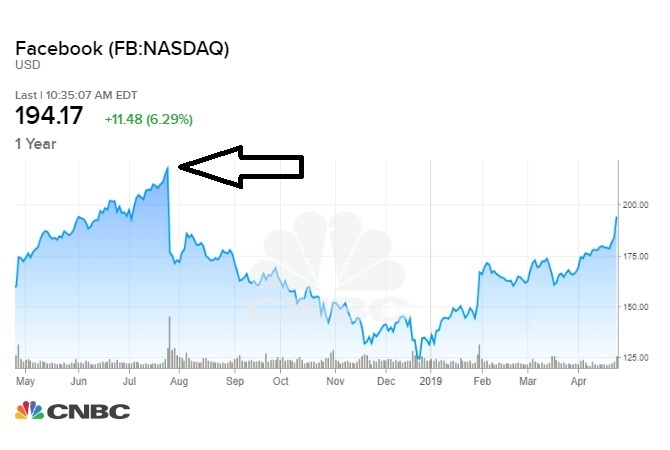 "Facebook is doing a ton" since those missteps, Graham said in a "Squawk Alley" interview. "I see on my own Facebook page evidence that they are working diligently to fix a lot of things that have been wrong. Its a lot easier to look at my own privacy settings, see who is seeing information I may post." "They are making dramatic changes around election security," he continued. "They are requiring that anyone who puts up a political ad to say who it is, who paid for it,[and] allow them to see other ads that user put up." Roger McNamee, an early Facebook investor and early advisor to Zuckerberg, feels differently. Hes emerged in recent years as a major critic of the company he once backed and how Silicon Valley at large has abused user trust. McNamee said in his new book, "Zucked: Waking Up to the Facebook Catastrophe," that Facebook "remains a threat to democracy" and continues to "prioritize its business model over its responsibilities." For its part, Facebook told CNBC, "We take criticism seriously. Over the past two years, weve fundamentally changed how we operate to better protect the safety and security of people using Facebook. The reality is Roger McNamee hasnt been involved in Facebook for a decade."